Almost a year ago Belgium metal formation Channel Zero lost their drummer Phil Baheux due to a vein rupture. His unexpected death stuck hard in the metal scene, especially in their home country. Belgians biggest metal formation did continue to work on their new album which they released two months ago featuring Roy Mayorga (Stone Sour, Soulfly). ‘Kill All Kings’ is the bands sixth full length album and the second one since the band broke up in 1997. They decided to write new material after a series successful reunion shows back in 2010. ‘Kill All Kings’ contains twelve songs which sound more dynamic than 2011 ‘Feed 'Em With A Brick’ and they sound a bit heavier. On opening track Dark Passenger you instantly hear the distinguishing voice of front man Franky De Smet-Van Damme followed by the more melodic Electronic Cocaine. One of the best songs on the record for me is Burn The Nation where Mayorga’s drumming gives a good grooving head banging rhythm to the song. Title track Kill All Kings is one of the heavier songs on the album and definitely worth a listen. 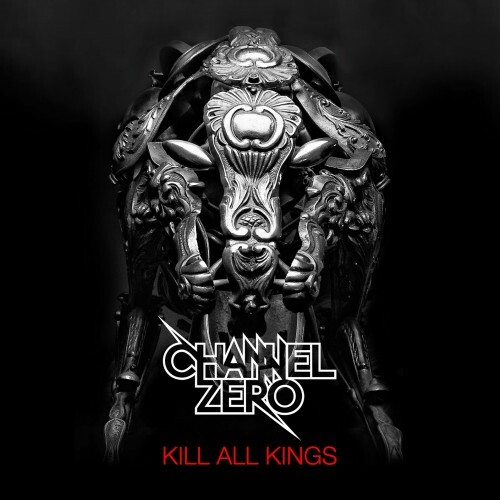 Overall Channel Zero delivered a well balanced and decent album. The production isn’t the best out there and the diversity in the songs isn’t that wide and this makes the album a bit boring over time. The band just delivered what fans were waiting for. To be honest I think that if they would take some more time to fine-tune the songs and make the riffs a little bit more interesting the album would be interesting for a longer period. This is not year list material.